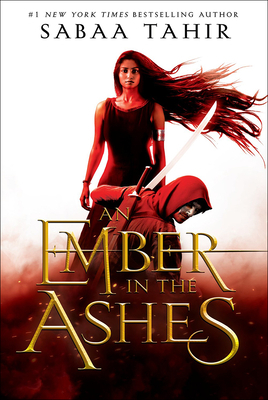 ""An Ember in the Ashes"glows, burns, and smolders as beautiful and radiant as it is searing." "Huffington Post"""
A worthy novel and one as brave as its characters. "The New York Times Book Review"
A deft, polished debut ("Publishers Weekly," starred review), Sabaa Tahir's AN EMBER IN THE ASHES is a thought-provoking, heart-wrenching and pulse-pounding read. Set in a rich, high-fantasy world with echoes of ancient Rome, it tells the story of a slave fighting for her family and a young soldier fighting for his freedom. Sabaa Tahir grew up in California s Mojave Desert at her family s eighteen-room motel. There, she spent her time devouring fantasy novels, raiding her brother s comic book stash, and playing guitar badly. She began writing An Ember in the Asheswhile working nights as a newspaper editor. She likes thunderous indie rock, garish socks, and all things nerd. Sabaa currently lives in the San Francisco Bay Area with her family. For more information, please visit Sabaa at SabaaTahir.com or on Twitter @SabaaTahir."